The fashion house has been labelled as a pioneer of fast fashion in the industry with new lines stocked every two weeks. 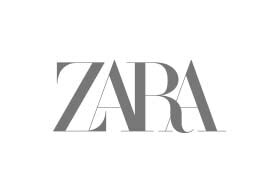 This quick turnaround allows Zara to offer customers something new and different on every visit. With fast fashion becoming mainstream in the recent years, and celebrities like Kate Middleton flaunting the brand's ensembles, Zara has found a large audience worldwide. With convenient parking facilities available nearby in car park A, you’ll be able to focus all your energies to shop at the store that brings styles and high fashion from around the globe in record time! The Zara clothing line is known to design new products and have them out in stores in a span of just two weeks, as opposed to the six-month long period that other retailers take. Manufacturing a bulk of its apparels in Morocco and Spain, allows the merchandise to arrive at the stores when they are trending.